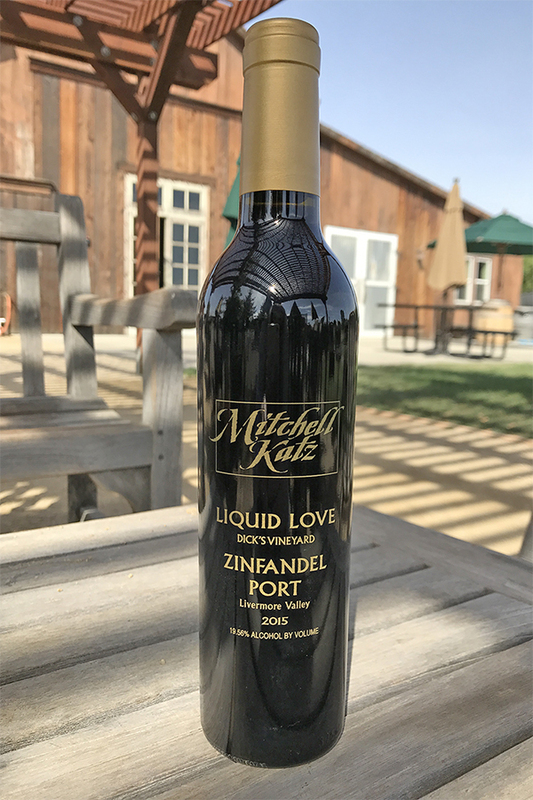 Mitchell Katz Winery was involved in the process of creating this captivating Sparkling Wine where it was produced and bottled by Blackridge Canyon in Woodbridge, CA. 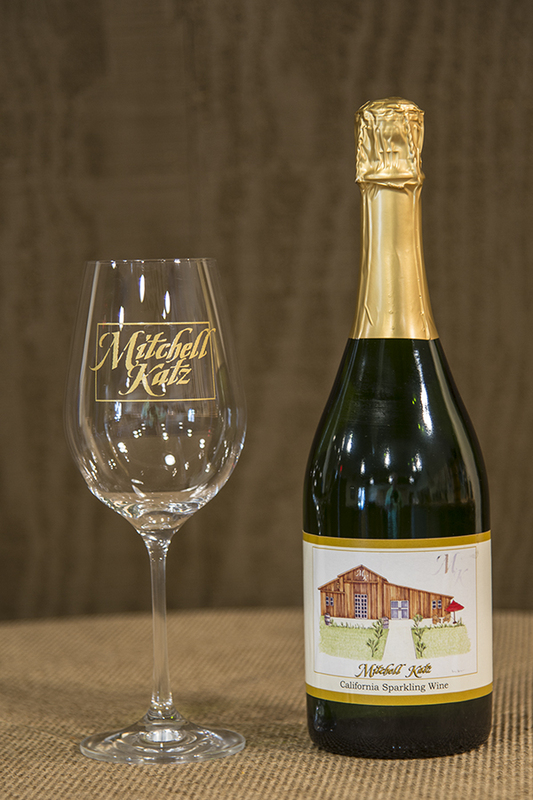 This sparkling wine is an excellent accompaniment to toast any special celebration. Easy drinking and unpretentious. Fresh juiced oranges, yellow peaches, and Mandarin blossoms are abundant. The wine is just off dry, with a fresh creamy palate and pleasant acidity. These three grapes have yet again produced a stunning port with a nose of cocoa nib dark chocolate, oatmeal raisin cookies and Luxardo Maraschino cherries. On the palate, a very well balanced acidity moderate sugar remain with hints of brown sugar, vanilla, Angostura bitters, and dried blackberries. Pairings are numerous, but we’ve definitely had success with black forest cake and chocolate covered macadamia nuts. 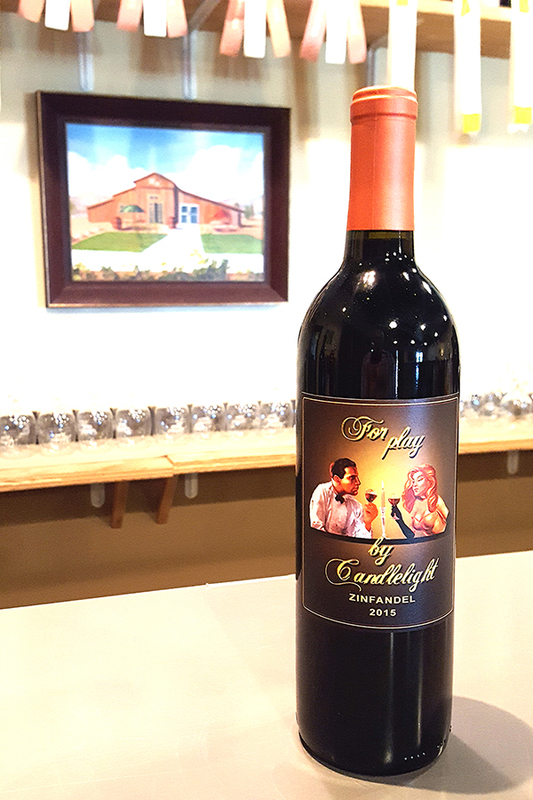 After years of patience and waiting, we are thrilled to finally bottle and release our 2013 Tawny Port. Layers of caramel kettle corn, crème brûlée, and cinnamon are on the nose. The pallet is a throwback to childhood treats - Capt’n Crunch cereal, toasted marshmallows, and lightly browned shortbread cookies. In addition to pairing well with any of the items mentioned above, cheesecake, flan, salted caramel ice cream with toasted almonds, and even s’mores are great partners for this bottle. Plain and simple, this is an exceptionally fun and endlessly complex wine. The legend returns, in the 2013 vintage, with fantastic aromas of dark espresso, fresh bing cherries, and dried bay leaf. It is an unctuous wine with coconut husk, strawberry gum, clove, and pipe tobacco. With a dense core of succulent dusty tannins, this is a polished wine that would be approachable now, or years down the road. Glazed ribs roasted vegetables, or blue cheese burger could pair well. Wild blueberry and spicy peppercorns meet the senses upon first delving into this wine. Rich raspberry jelly,dried juniper and toasty vanilla give way too thick boysenberry syrup and fresh ground allspice. 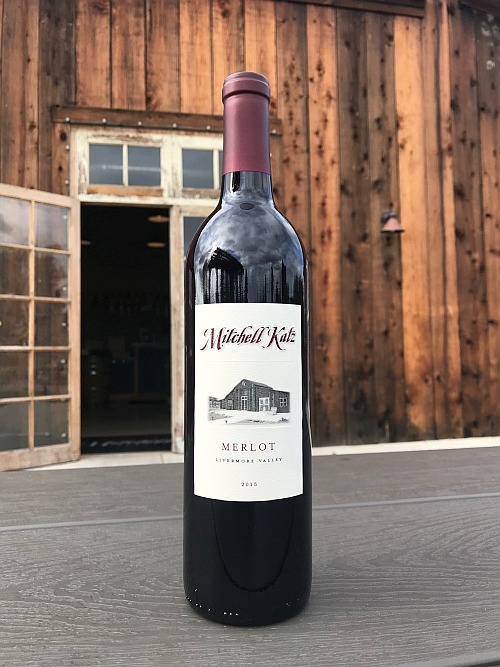 With a great acid and an expensive fruit driven pallet, this wine goes excellently with all things chocolate, as well as berry driven desserts. The Gu Chardonnay is back!! For those who have been patiently waiting, the 2016 has its classic brilliant gold and straw hues with a rich round and luscious mouth feel, without being overly buttery or cloying.... just right. A balance of warm baking spices and ginger linger, with a toasty vanilla bean note coming through on the finish. This elegant wine with just a hint of gravely minerality, is a great pairing for anything from sushi to parmesan crusted chicken. The Gu Chardonnay can also shine with a variety of shellfish as well as any number of dishes that incorporate pesto. 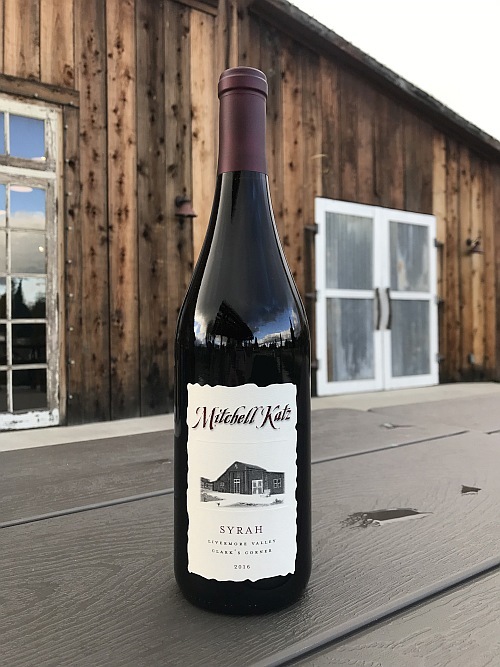 A perfect wine for the cooler weather, the 2013 Yee Syrah is a hearty and round wine with nuances of cherry, rose petals, and toasty vanilla. Secondary characteristics are of sweet rosemary, absinth, hay, and spiced fruitcake. It is a wine that can age, yet is quite approachable now. 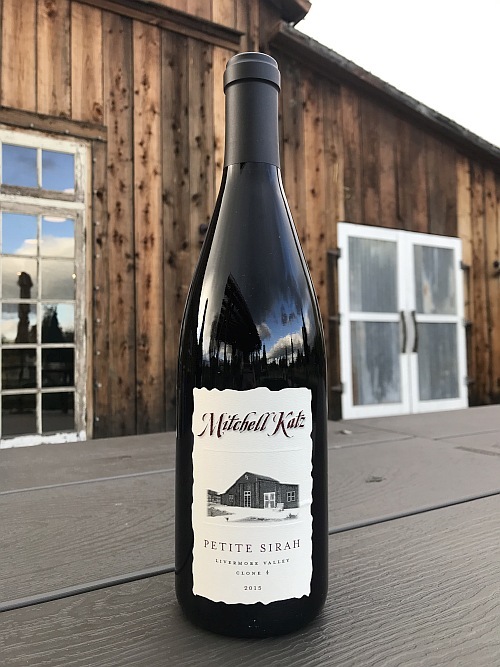 This is a bottle that goes well with winter braises and crock pot cooking, and is flexible enough for nearly any occasion with good food and good company. 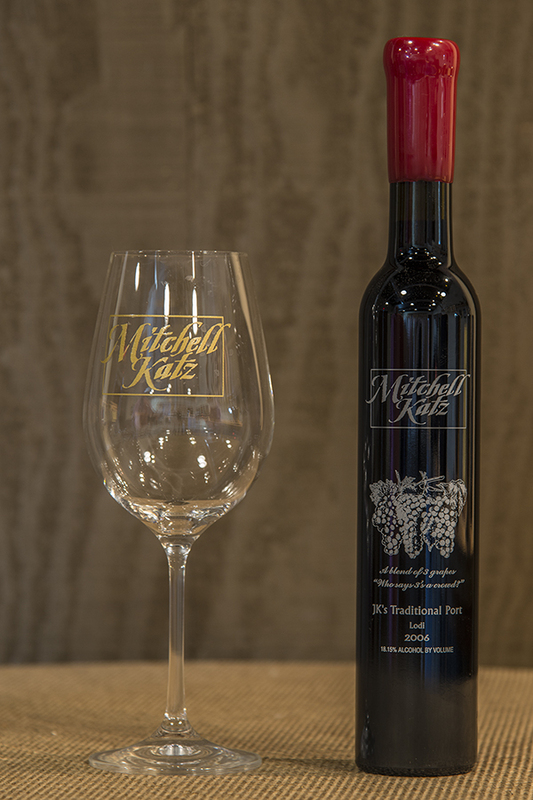 Another classic vintage of this blend, the 2013 J Katz is a wine that offers depth, complexity, and versatility. Rich notes of toasty vanilla from the French oak appear alongside fresh picked strawberries, and clove. After a few swirls in the glass, the wine opens up into waves of chocolate covered cherries, dried fall leaves, and warm allspice. 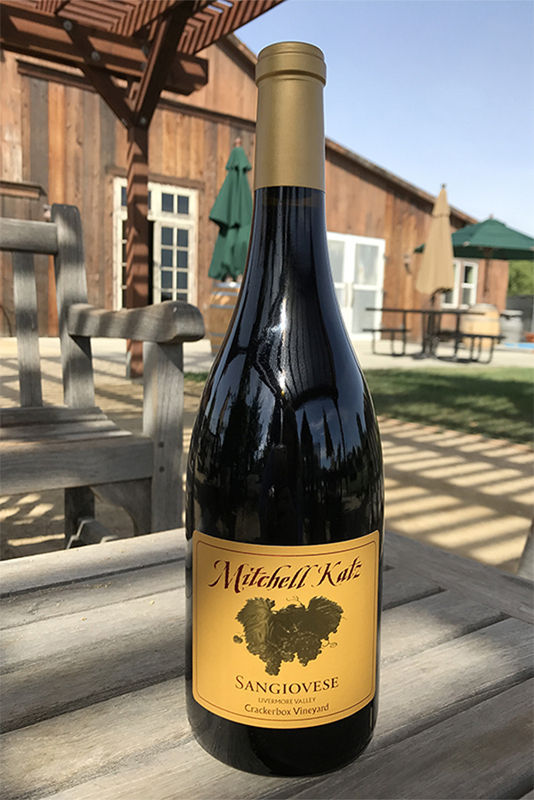 This is a perfect wine for the transitioning from winter to springtime- with the flexibility to go with everything from grilled salmon or duck confit to roasted root vegetables and leg of lamb. 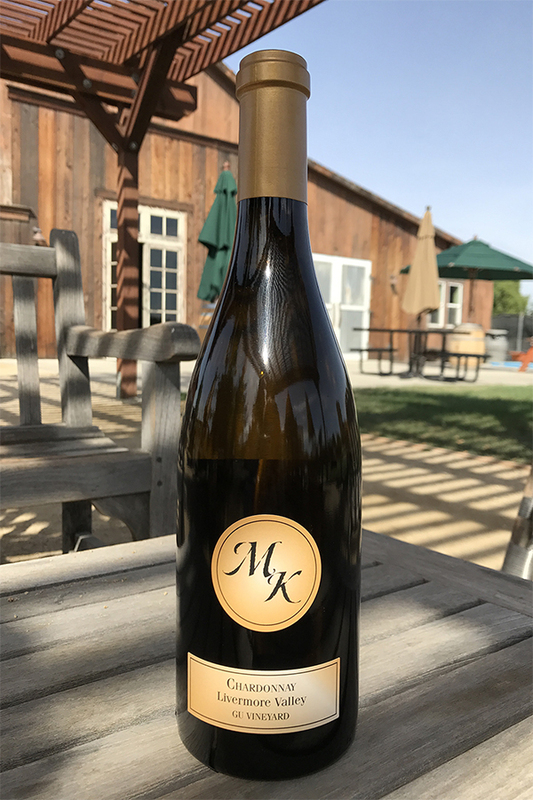 Balanced in its expression of fruit, minerality and oak, this is a perfect expression of how expressive Chardonnay can be. Sweet vanilla, fresh baked apples and hints of crushed gravel show on the nose. Underneath are layers of pastry dough, spiced pear and an exceptionally balanced crunchy acidity with a full round mouth feel. 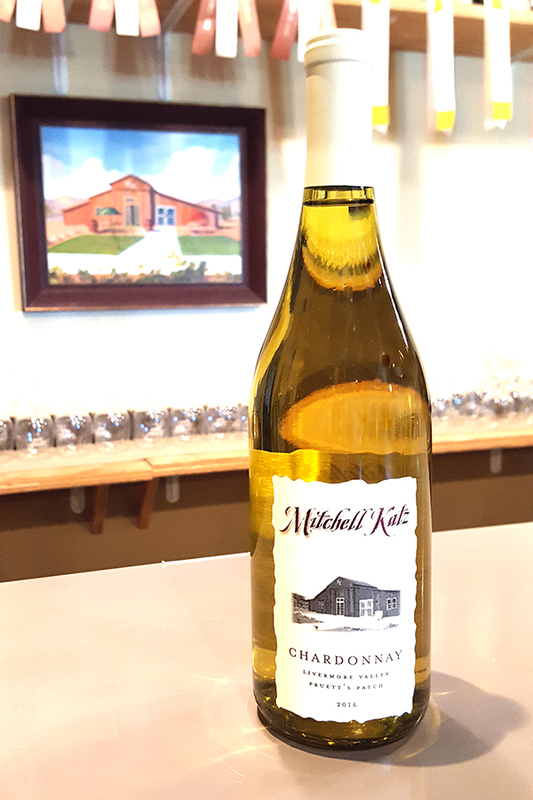 A versatile Chardonnay, this bottle goes well with everything from warm brie with honey to fried chicken? 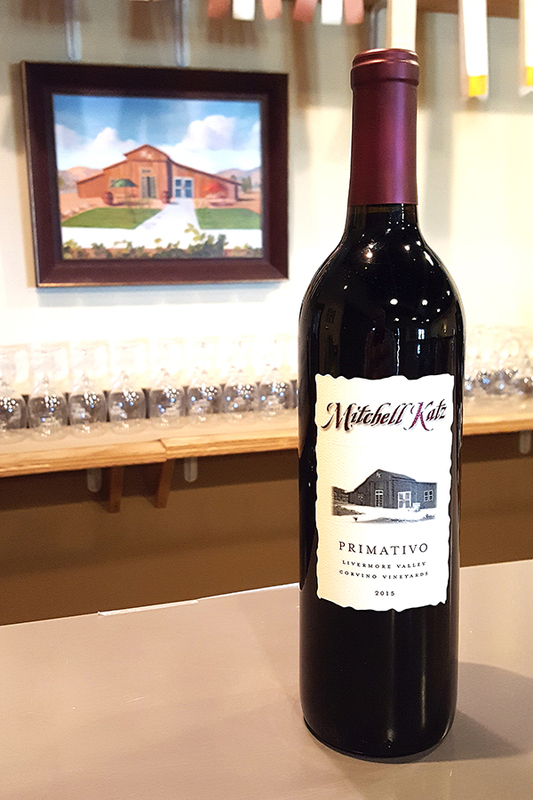 With warm ripe blueberries, roses and juicy cherries on the nose, this bottling of Primativo offers both a bit more fruit and rounded weighty core than our last bottling of Pirmativo. Raspberry, strawberry, toasted vanilla, and cassis are on the nose and make for this wine to be a perfect paring for any number of cheeses: brie, blue, or even pecorino. Food parings are versatile as well and can play off the sweet fruit core of the wine- stuffed peppers, glazed BBQ ribs, and even Thai food. 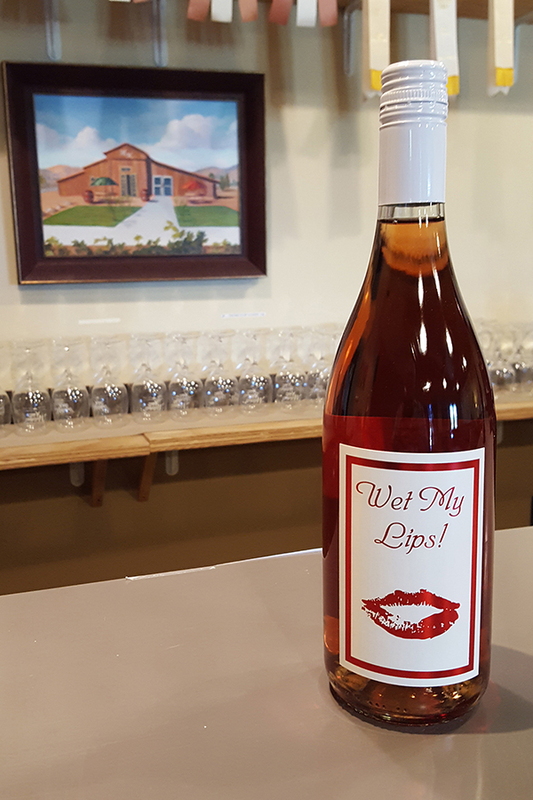 With a new pair of lips on the front, and our very first screw cap, the newest release of ‘Wet My Lips’ has hints of fresh picked strawberry, muddled cherry, and white nectarine. Further time shows cranberry, dried roses, and fresh figs. Pairs well with goat cheeses, salmon, or a caramelized onion and pancetta tart. 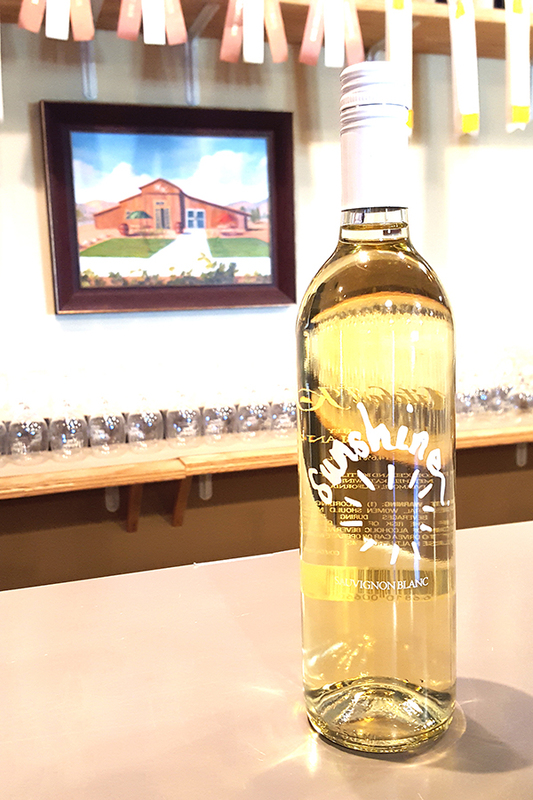 Still using the ‘Sunshine’ label, but filling it up with Sauvignon Blanc this time! Crisp and refreshing with loads of fresh tropical notes, this Sauvignon Blanc is one of guava, crunchy minerality, and pineapple upside down cake. Bits of grapefruit, asian pear, and lime zest make their way though as well. Pairs perfectly with pesto, grilled shrimp, or roasted summer vegetables. 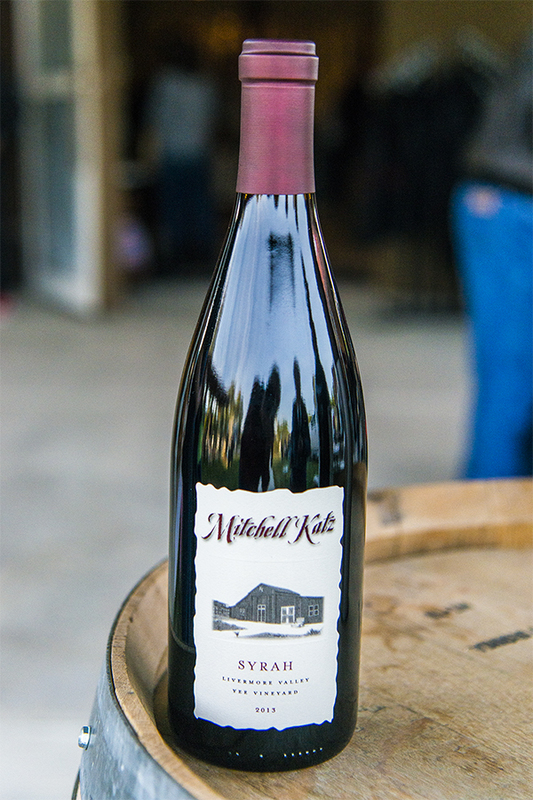 Perfectly ripened strawberries, crushed raspberries, and sweet tobacco open up in the glass upon first swirling. With time, cherry lifesavers, black peppercorns, and sweet pine open up as well. 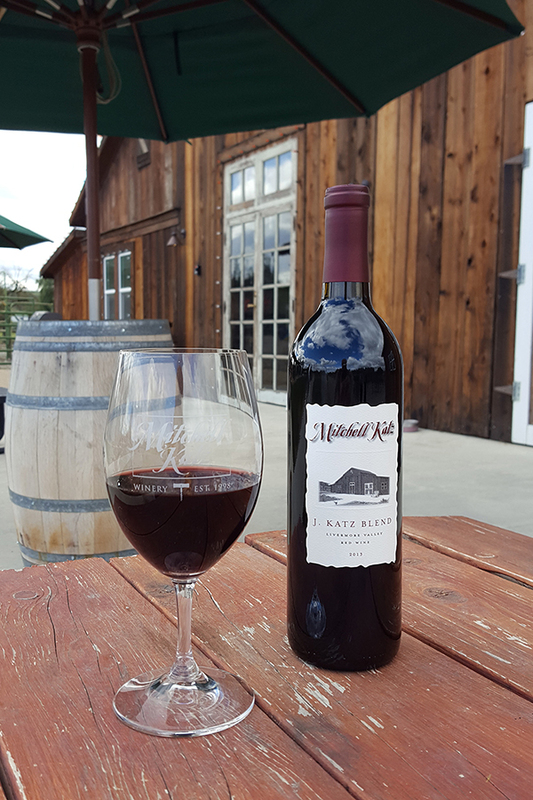 With a pleasantly high acid, and moderate tannins from the new oak, this wine pairs well with everything from pizza or a soppressata sandwich to BBQ chicken. 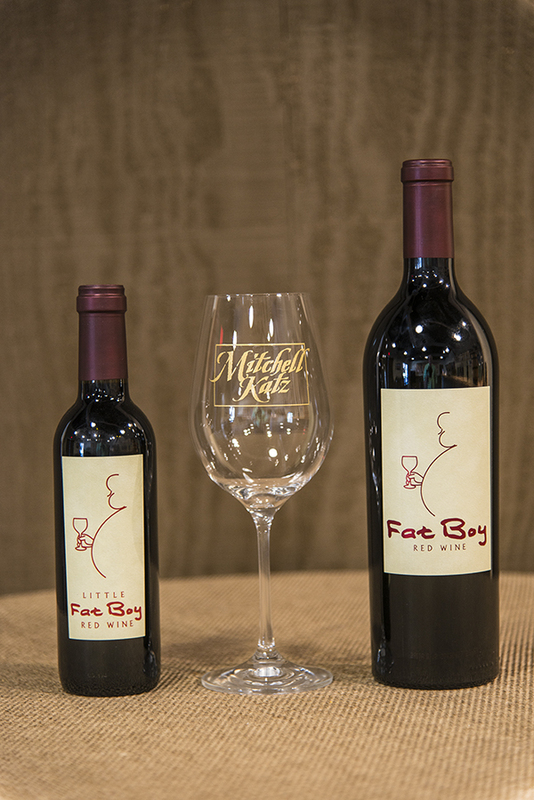 The 2014 Fatboy stays true to the excellent vintages of years past and is a dense wine with leathery, brooding red fruits. 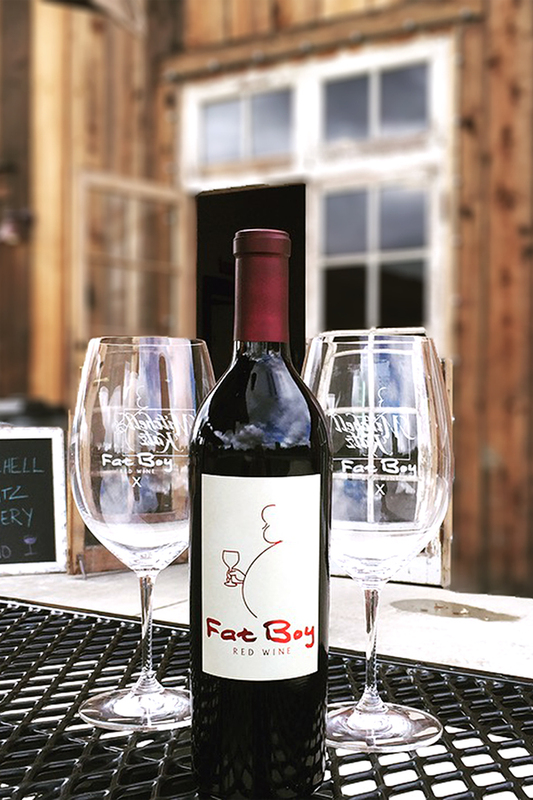 Laden with cedar, dried strawberries, black cherry, and taunt espresso notes, this powerful Cabernet can be easily consumed now, or aged a few years. Even with just a little decanting, this Fatboy shows layers of tart plums, purple violets, fresh cranberries, and red peppercorns. Pairs well with a well marbled hearty steak, cheeses ranging from blue to brie, or balsamic grilled portabella mushrooms. 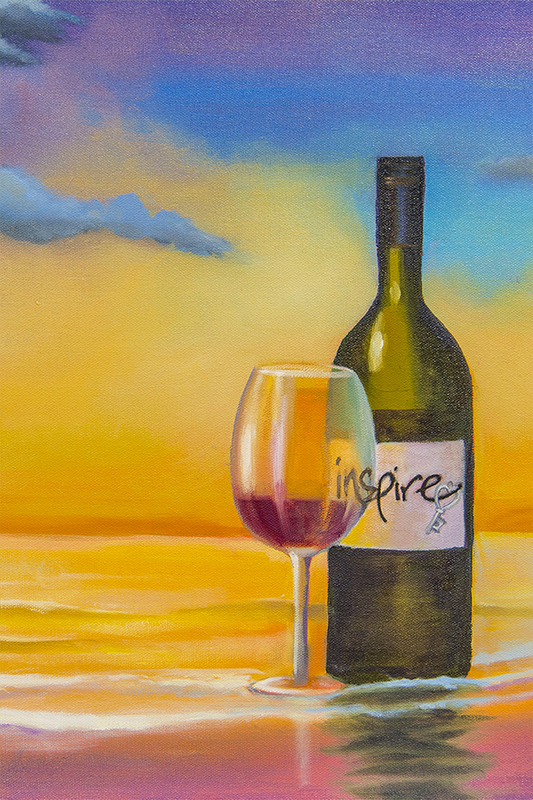 Our inaugural vintage of 2012 "inspire" is nothing short of its namesake - we selected our best 6 new French oak barrels of Cabernet Sauvignon and set them aside to craft an endlessly inspiring and velvety wine with loads of black cherries, cassis, and rich leather. With time in a glass and a little patience in the cellar, dustiercomponents show themselves along with caramel coffee, hazelnut, wet gravel, and sage. As the holidays approach, this wine would pair well with everything from a hearty stuffing to prime rib.